Here’s a video on how I organize dresser drawers and fold underwear, bras, socks, and tank tops. Plus you’ll see how I created dividers inside my elfa drawers (in case you didn’t know, elfa doesn’t make dividers for their drawers). Is it weird to show my underwear drawer on camera?! Oh well. How do you organize your undergarments? Leave a video response or comment below and show me! Hi, guys. It’s Alejandra. And I’m sitting here inside my closet. And today’s video, I’m going to show you not my whole closet. I promised I will get to a closet tour but I’m going to show you guys one half of my closet or like one fourth of my closet where I keep all of my tank tops, my socks, my underwear and my bras. And somebody actually requested to see I organize my tank tops so I’m going to show you that drawer first and then I was going to do that video separate and I realized that’s right next to my socks, my underwear, my bras and so I was like, “Oh, I’ll just combine it.” And at first, I was like, “Do I really want to show my underwear on camera?” But it’s not really a big deal to me. Everybody has underwear so it’s not like I’m showing myself in underwear. It’s just my underwear drawer. So I’m going to grab the camera and show you guys exactly what I do, how I store them, and give you guys ideas for what you can do inside your own dresser drawers or closet drawers. OK. So I’m going to show you guys these four drawers right here. I’m going to start with my sock drawer. And let me just give you guys a quick background. So all these drawers are made by Elfa from the Container Store. As you know, I’m obsessed with Elfa. I have Elfa in nine spaces of my house. So this is my sock drawer and I divided them into three categories. I have my dressy socks then I have my casual socks, and then I have my fuzzy socks. Fuzzy socks are those really soft socks that you wear at night that keep your feet really warm. These are my favorite. OK, so dressy socks. So all I do is I really just kind of rolled the socks into a ball and then I stick them vertically up like this. Now, I can see all my socks right when I open the drawer. I love it. So dressy socks, casual socks. With the casual socks, I have like every color of the rainbow because these six came in a pack. These are all just different colors and I just color-code them or I just organize them by color because it just makes it really pretty. These are my lucky socks. I love these socks. They’re cute. I got them in Columbia. My mom is Columbian so I have family in Columbia. OK. So I wear these whenever I need luck. So over on the left is my fuzzy socks. I told you about those. By the way, these are the best socks. These are my favorite. These came in a pack of three and they’re from Brixton. They’re just so nice and warm and fuzzy. The next drawer is where I have all of my tank tops. I love this drawer. I love opening it because everything is folded really nicely. So you can see here that I organize and store all of my tank tops by rolling them. So I kind of rolled them in fourths. Let me show you guys. So, all I do is you can see that’s double folded and then I just roll it again into fourths. This is really hard, holding the camera and rolling. And then I just roll them like this. This is obviously messy because my hand is holding the camera but you can see. All right. That’s how I fold them. So let me quickly tell you guys about the dividers inside this drawer. So as I mentioned before, this drawer is made by elfa and if you have elfa or you love elfa or you’ve seen elfa at the Container Store, then you might know that they don’t make dividers for their drawers. I don’t why. I wish they would because dividers just make a huge difference inside drawers. So what I’ve done and I’ve tried adding all types of dividers and like nothing seem to satisfy the perfectionist inside of me. So what I’ve done that does satisfy the perfectionist inside of me is I’ve added these drawers here. This one, let me take it out of place, these are – they’re from the Container Store. I forgot what they’re called but all you do is – it’s a really thick piece of plastic and they come in lengths, I don’t know what the lengths are but you just cut them to the size that you need. And it looks pretty straightforward and simple, right? It looks like pretty easy like the sock drawer has it, this drawer has it. But I will tell you that installing all of these dividers took like four hours to like figure out to like recut because it’s hard to cut. It took about four hours to get his perfect. And I’ll tell you why. If you noticed, these drawers are at an angle which makes it very difficult. So I had to cut this at like a 30 degree angle or something to get it exactly to stick and that’s why it took so long. And then another reason why it took so long is because before I had – this is a liner, before I had the liner in place, I was trying to stick the end cap on to the – just like the platinum drawer and it kept falling off. I tried a hot glue gun. It kept falling off. And then I realized, “Well, maybe if I get it a liner, it will stick to a liner.” So then I got a liner and then I stuck the end cap to the liner, it kept falling off. And then for some reason, the liner won’t stick to the drawer and then it was just a big mess. So what I did was I – and here’s what you got to do. You got to glue gun the liner. It’s kind of coming off now. But you got to glue gun the liner to the platinum drawer and then you got to glue gun the end cap to the liner. And then you got to cut this out like a 30 degree angle, stick it in place and then it works perfectly. I’ve had these dividers in place for like maybe six to eight weeks now and they just work perfectly. So although it does take a really long time to set up, to me it’s worth it because my drawers are now divided. I just want to look at my sock drawer. Like isn’t that just so pretty with all the colors and like the dividers and everything is folded or rolled nicely? Doesn’t that just make you happy to just open this and like look at that? It makes me happy. It makes me want to just smile. So anyways, moving on. So let me show you my underwear drawer. And again, I was a little hesitant to show you guys my underwear drawer for whatever reason. But yeah, when I thought about it, I was like, “Oh, it’s not a big deal. Everybody has underwear.” So OK, so this is my underwear drawer, getting to the point of the video. I basically fold my underwear in quarters and then I store them by color. As you can see, I have a lot of pink. I just realized that I had a lot of pink. So yeah, I sort them by color so pink, yellow, blue, black, green, purple, black. And then on this side, I have my bathing suits. Yeah, so underwear, bathing suits. And this is pretty easy to maintain. I mean you just fold your underwear after getting it out the laundry and you just put it back where the right color section is. So it’s pretty easy. And again, I have the divider here as well. The same thing, it took really long to do because it has the same angle. Now, the next drawer I want to show you, these are my long-sleeve shirts. They’re all in the wash right now. But that drawer is missing a label. OK. So here is my bra drawer. I have all of my regular bras in this side, regular bras on that side, and then I have all my sports bras in the middle. And I store them vertically like this so I can see everything immediately when I open the drawer. And then again, I sort them by color because it just makes it pretty when you open the drawer and then it’s functional at the same time because you can look for whatever color you need. And as you could see, like in this drawer, things are not folded perfectly. I told you before at my jean video that I’m not the perfect folder. But it’s not the end of the world. OK. That is everything I want to show you guys. So I showed you my socks, I showed you my tank tops, I showed you guys my underwear, bathing suits, my long-sleeves, not really much in there, and then I showed you guys my bras. So that’s the way I organized my socks, my underwear, my bras, my tank tops. Was that weird that I showed you guys my underwear drawer? I don’t know. I was going like back and forth whether I should show that. But hopefully, that wasn’t weird. If you organize your undergarments in a similar way or in a different way and you have it on video, I would love to see. You can leave a video response or you can leave a comment below and let me know exactly what you do and I would love to see it. 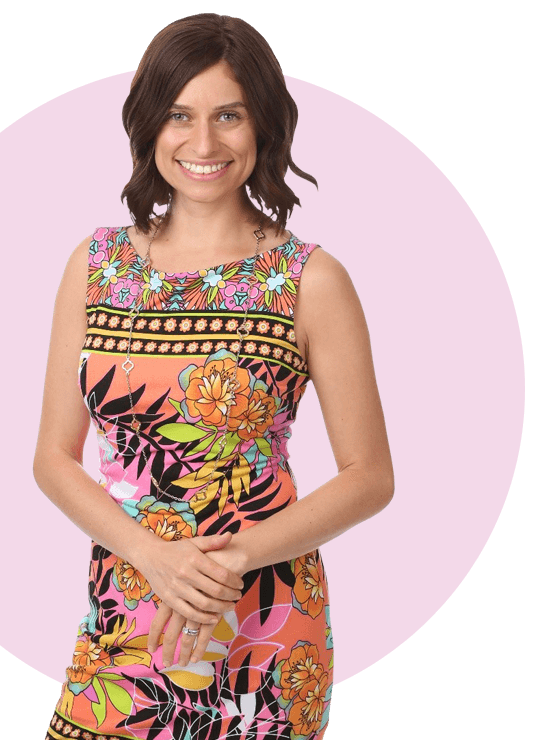 If you want more information on getting organized, staying organized, becoming more productive, or anything along the organizational lines then you can visit my website at Alejandra.TV. And I will see you guys soon. Bye.